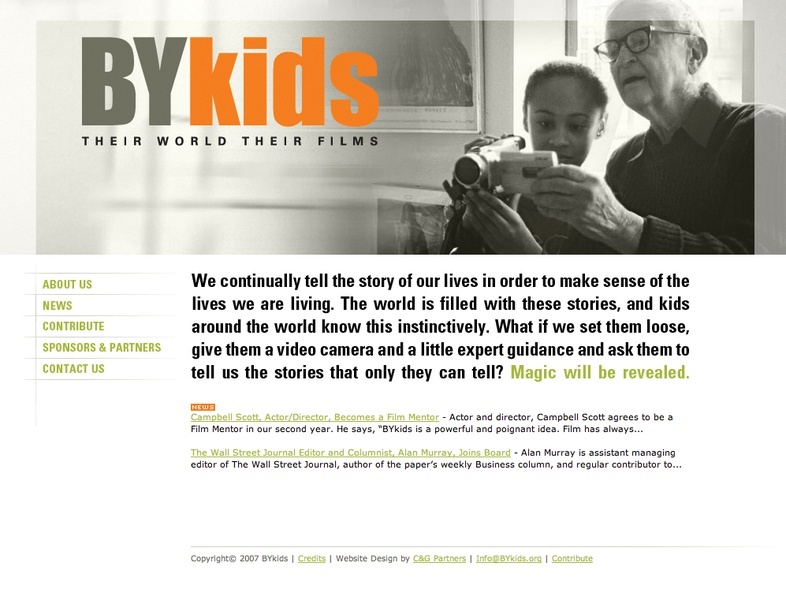 This non-profit organization pairs American film masters like Albert Maysles and Ric Burns with young people from around the world to create short documentaries that will educate Americans about universal issues. These stories are rarely told in the mainstream media and BYkids’ goal is to raise awareness, stimulate debate and inspire social change. 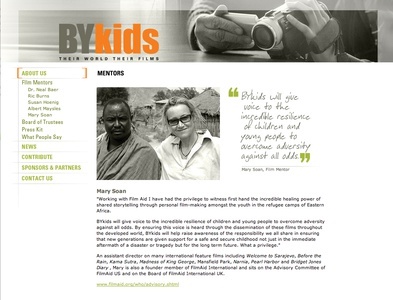 By giving five kids each year the tools and the mentoring to make documentary films about their lives, BYkids gives voice to youth from diverse cultures, and encourages globalism and international understanding.The design direction capitalizes on the unique nature of this initiative: the rare opportunity for young people to collaborate with documentary masters, and to view their lives through a filmmaker’s eyes. 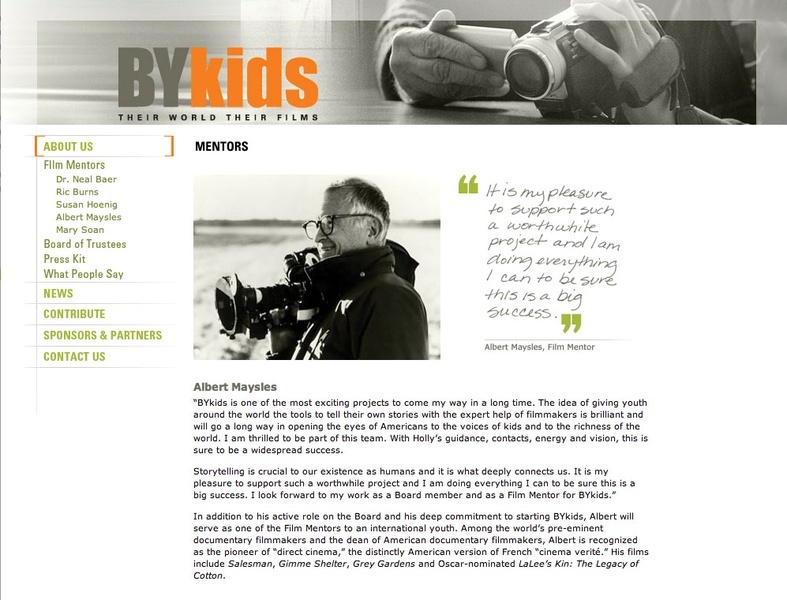 The photographic style conveys the documentary character of the initiative while the bold text and the colors celebrate the spirit of youth.